Which Toy Cash Register - Fisher-Price or Little Tikes? 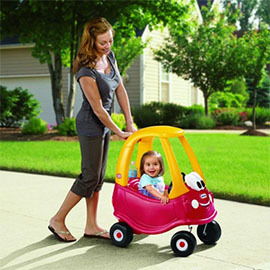 Fisher-Price and Little Tikes both have toy cash registers suitable for 2 year olds. They don’t have small parts such as buttons which would pose a hazard to this age group and are designed to introduce 2 year olds to concepts such as pretend play and basic counting. But which is best? In this comparison, I am comparing the Fisher Price Cash Register with the Little Tikes Learning Cash Register. 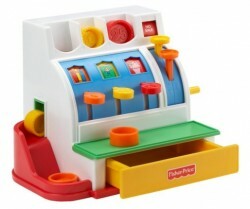 The Fisher Price cash register looks exactly how you would expect a toy cash register to look. 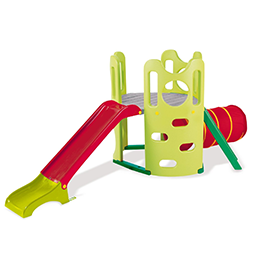 It’s made of plastic and brightly coloured with several different elements that will appeal to young children. It has buttons, levers, counters representing different amounts of money, a cash drawer and a slot that children can post the coins into and watch them roll out the side. The Little Tikes toy cash register looks more like a game of Connect 4! If you look closely then you can see it’s designed to be a cash register, but this wasn’t immediately obvious to me. 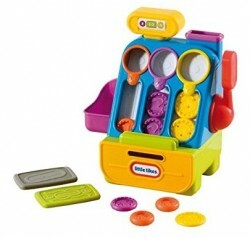 Like the Fisher Price version, it has several different elements – a drawer, toy money (coins AND notes, unlike Fisher Price) a lever and a slot to post the coins into. It also has a little display (i.e. a sticker) which vaguely resembles the screen on a real cash register. On first impressions, the Fisher Price cash register looks the best. 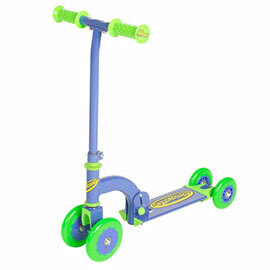 However the Little Tikes one is brightly coloured and does look appealing too. The Fisher Price Cash Register is suitable for 2 year olds and above. 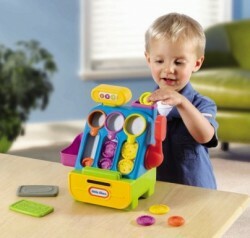 The Little Tikes Learning Cash Register is suitable for 6 month old babies up to 4 year olds. While both are suitable for 2 year olds, the recommended age ranges are telling. The Little Tikes cash register is really quite babyish and while it definitely appeals to 2 year olds, it won’t be of interest to much older children. In fact I would challenge the label that it’s suitable for 4 year olds – I don’t know many 4 year olds who would still want to play with this sort of toy! In contrast, the Fisher Price cash register is perfect for 2 year olds but grown up enough for primary school-age children to incorporate into more sophisticated pretend play games. The Fisher Price cash register is rated an average of 4.7 out of 5 stars on Amazon, compared to 4.2 out of 5 for the Little Tikes. This doesn’t sound like a big difference but having compared these ratings to similar toys, I think it’s quite a big difference. Most of the reviews of both toy cash registers are very positive. The negative reviews are quite similar too, with a few people reporting that both cash registers are cheaply made. However there is more negative feeling around the Little Tikes toy cash register. At the time of writing, the Fisher Price cash register costs £24.99 and the Little Tikes costs £17.50 – both with free delivery on Amazon. Personally I think the Fisher Price is much better value for money despite being more expensive. This is because it provides a lot more to entertain children and your child won’t grow out of it for many years. I’d rather spend £24.99 on a toy that will last my 2 year old until they’re 6 or 7 than £17.5o on a toy that will only last 1 year. Which is the best toy cash register? I would definitely say that the Fisher Price Cash Register is the best toy cash register for 2 year olds. It actually looks like a cash register and works well as a standalone toy or combined with other pretend play toys such as a toy shop or shopping trolley. 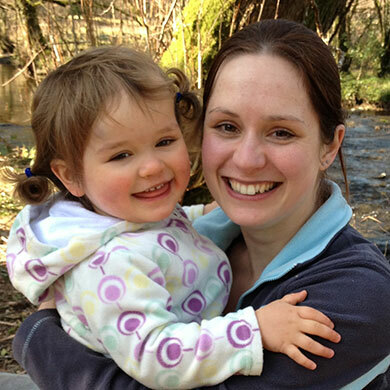 It’s well designed and has plenty of things to appeal to 2 year olds and older children. With the Fisher Price Cash Register, toddlers will enjoy pressing the buttons, opening and closing the drawer and pulling the lever to hear the bell ring long before they can understand about buying things in a shop. As they get to the imaginative play stage in their development and start being interested in toys that mimic everyday live, they can use this toy cash register to play ever-more sophisticated games – either alone or with friends. It’s actually the only toy cash register I’ve seen that will appeal to older children while being approved for 2 year olds. The Little Tikes Learning Cash Register has some of these benefits and is a bit cheaper, but it’s much more limited so I would recommend the Fisher Price.